The beginnings of modern Nuwara Eliya were essentially British. Uninhabited when the British came to Ceylon it was accidentally discovered by Dr. John Davy brother of Sir Humphrey Davy, the famous chemist while on a hunting party in 1818, and was made into a health resort and sanatorium for British officials in 1828 by Sir Edward Barnes, the Governor of the Island at the time. Barnes incidentally built a mansion for himself. “Barnes Hall”, which today, after considerable alterations exists as the Grand Hotel. The town itself did not extend beyond some amenities for the military and a few residential and other buildings, until the arrival in 1847 of Sir Samuel Baker. Baker was an explorer and entrepreneur who established a settlement in Nuwara Eliya, and went to the extent of importing all the appurtenances of an English country town. The planting of coffee, and after its failure, the opening of tea plantations on the hills of Nuwara Eliya brought in their wake the trappings of the commercial world and during the latter half of the 19th Century, Nuwara Eliya was transformed “from a wild open plain into a busy British hamlet”. It became then, as it is now, essentially a holiday resort. Its cool and invigorating climate, and its location, only a few hours from the tropical heat of the capital, Colombo, made it irresistible first to the British and then to the Ceylonese. As more residences were built (copying “Old English” architectural styles) British sports and recreations were introduced – golf, tennis, horse-racing, cricket, croquet, hunting and trout fishing. From the early part of this century it became fashionable to spend April, the hottest month of the year in Nuwara Eliya. A “Queen’s Cottage” was established as a holiday residence for the British Governor and his retinue. With the Governor at “Queen’s Cottage” each year, first British residents and in later years the Ceylonese elite, flocked to the hill resort for “The Season”. The whole town came alive as a glittering program of social and sporting events was laid on for the holiday makers. But Nuwara Eliya was not unknown to the early Sinhalese. Literally translated the name means “The City of Light”. The earliest record of the name appears in the map in Robert Knox’s account of Ceylon published in 1681. Lithic inscriptions on granite were discovered in Nuwara Eliya by H. C. P. Bell, the Archeologist, suggesting the existence of a Buddhist Vihare there in the 10th Century A. D. Another theory suggests that Nuwara Eliya means “Royal Plains”, supposedly because the ancient kings of the Royal City of Kandy depended on its streams for their water supply, and laid claim to the precious gems discovered there. Nuwara Eliya was also supposed to have deposits of gold and prospecting for this precious metal has been intermittently, and unsuccessfully, carried out even to recent times. There is also evidence that it was used as a resting place by an adventurous traveler or two in the Portuguese and Dutch periods of occupation of the island and one story is that Dona Katherina took temporary refuge in Nuwara Eliya when she was driven from her Capital by the Portuguese in 1628. Nuwara Eliya ostensibly has a place in Sinhalese and Hindu legend through the Ramayana, the epic relating the story of Rama and Sita. When the beautiful Queen Sita, wife of King Rama whose kingdom was in India, was abducted by Ravana, the Demon King of Ceylon, she was held in captivity close to the town until she was rescued by Hanuman, the Monkey King. This area is called Sita-Eliya after the beautiful Queen. 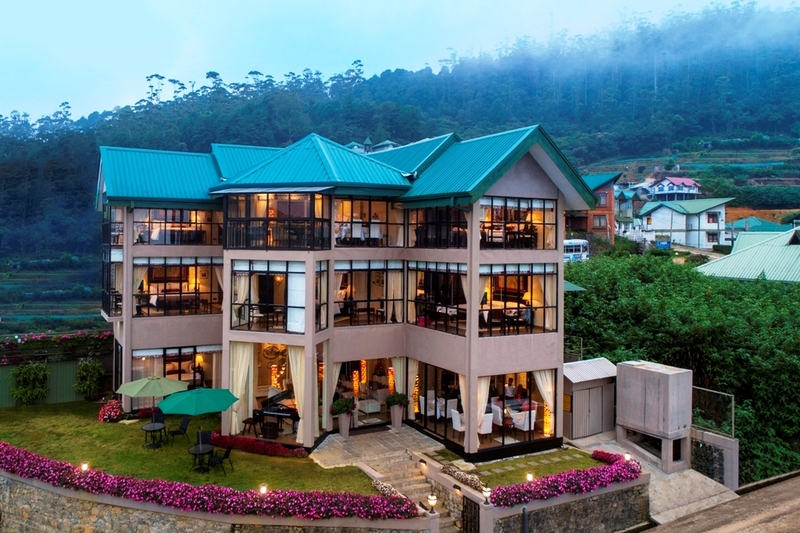 “The CheRiz”, is situated at “Top Pass”, in one of the highest locations in Nuwara Eliya, with the advantage of being only 2.5 Kms., from the city center. The advantage of the elevation of “The CheRiz”, affords, its Guests, a cool and salubrious climate, pristine views of misty hills and green carpets of tea bushes, all year round, irrespective of the seasonality, of the destination.